Jim is celebrating his 40th year of boat ownership. He has sailed extensively around Newfoundland, Lake Ontario and to the Bahamas. He has done a number of deliveries along the eastern seaboard. Jim's estensive knoledge of the marine industry includes commercial diving, marine surveys and the marine insurance industry. He is well versed in the intricacies of bringing boats from the EU and US markets. 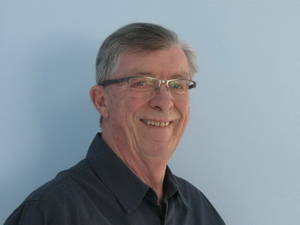 Jim is a certified sailing instructor and examiner for Industry Canada's ROC-M & MC marine radio courses.His extensive knowledge of boat construction and design will assist you in finding the right boat for you and your family to enjoy. Whether you are sailing around the buoys or plan on extensive ocean crossings. Jim is there to assist. Dwight has been involved in the marine industry for 20 years. His collaborative approach to selling, focuses on the needs of his customers with the end goal of ensuring that they get the right boat at the right price and everyone is satisfied with the complete process. This approach has led to a successful career selling boats, locally, national and internationally. 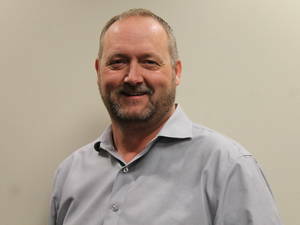 Dwight is a lifelong learner, currently enrolled in the Business Program at Memorial University and always open to new learning opportunities and experiences. Hugh is dedicated to helping clients find their perfect boat and always willing to go the extra mile. He has been boating around Nova Scotia his whole life and is an experienced sailor in many local and international one design fleets. His true passion however lies in power boating. His knowledge of boats and attention to detail is great for helping you find your next boat whether it is new or used, power or sail. Marty has been in the boating community for 30 years. 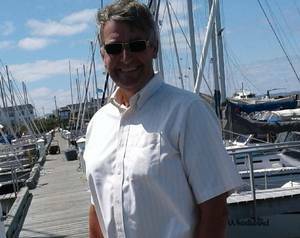 He is new to Ocean Yachts and is located in Pictou County. Marty is a jack of trades. He was the owner operator of a dairy farm, heavily involved in truck and transport, currently he is a restaurant owner and Real estate agent. If there’s a perfect boat for you, Marty will commit as much time and charisma as necessary. Edgar, a native of Lameque, N.B., has been involved with the marine industry his entire working life. He has worked in the marine-related insurance industry, as well as holding the position of sales director for a manufacturer of rigid liferafts, sold throughout North America and Europe. 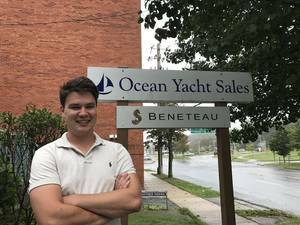 For the past nine years, Edgar has channeled his vast experience in the marine brokerage field into his current position as a vessel broker with Ocean Yacht Sales and TriNav Marine Brokerage. Edgar takes pride in assisting his current and future customers in finding the perfect boat that works for them. 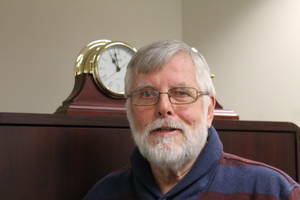 Boyd has been involved in the marine industry for 47 years. After graduation, he went to work with H.B. Nickerson and Sons Ltd. in Georgetown, P.E.I. where he held the numerous positions, eventually becoming assistant office manager. Boyd also worked at the Georgetown Shipyard and was involved with building, repair and maintenance on large vessels, tugs and pleasure boats. From there, he went to work with the Federal Government in various capacities, including vessel and gear specialist. Boyd has along undergone formal training in boat building, Canadian Coast Guard vessel operator course, 40-tonne masters navigation, fishing net and twine course, N.S. School of Fisheries Course and hydraulic and refrigeration. For the last five years, Boyd has been involved with the brokering of commercial and pleasure vessels in and around his native P.E.I. and is looking forward to serving all of your marine needs.